Adventure Dash Fun Run is a high-energy fundraising company dedicated to help school districts across the country raise incredible amounts of money for their schools. Our fun run is a fun-filled, age appropriate obstacle course based run. This allows us to show each student that no obstacle will be too hard to overcome when trying to achieve a common goal. We employ teamwork through the classroom to help encourage your students to work together. Adventure Dash serves children across the country by teaching healthy habits through our daily health and fitness lessons. We strive to instill the importance of physical fitness through an action packed obstacle course fun run that teaches the power of the team over the individual. People first!! Not only are we the best at what we do, we also have the best team to help us accomplish our goals. 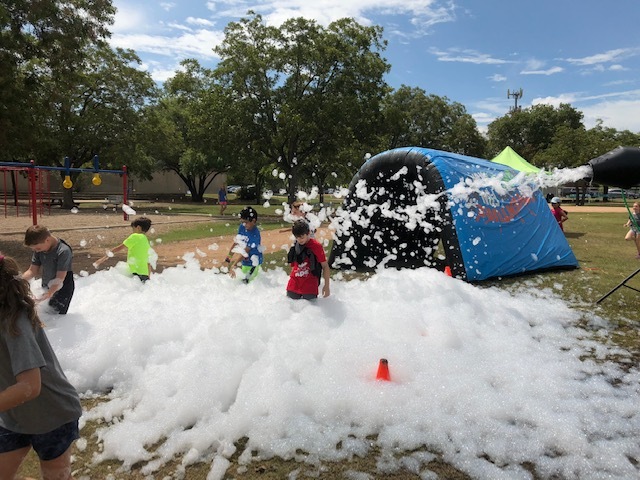 Our team always strives to make sure EVERY child’s experience is awesome and that they all feel included in each and every interaction, party, conversation, and event. Why Adventure Dash Fun Run? We invest in each school that partners with us by teaching students about teamwork and fitness. Our goal is to help the next generation of leaders understand that although the individual is important, a team can accomplish more together! We employ teamwork through the classroom to help encourage your students to work together. With our Flat Fee pricing structure, your school is able to keep more of your fundraising dollars. Ask us how! We are a “People First” company. Our staff consists of highly energetic, fun, enthusiastic, coaches who love kids! Our highly trained staff will be on campus throughout the entire fundraiser. Our Fun Run is simply bigger, better, challenging and more fun…while still being safe and age appropriate. "I cannot say enough good things about this company! Adventure Dash has it all and does it all for a fantastic fundraiser. From the kickoff they get the students excited and on board before Dash Week even starts. Their team is excited and energetic, they go above the norm to get the kids motivated to earn bands, dance parties and other fun things that kids love to do. 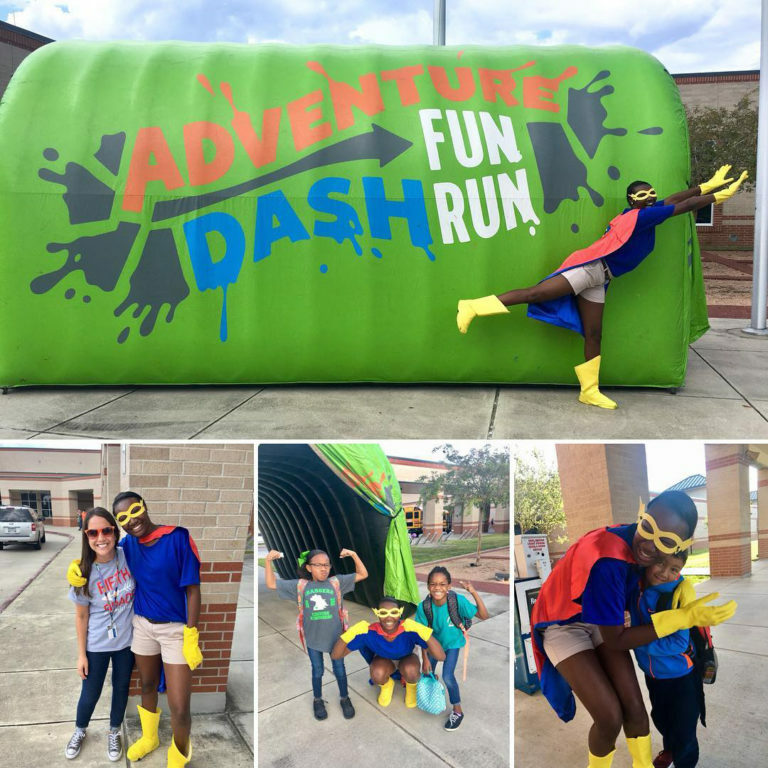 Another thing I love is our staff gets excited about the fundraising because they really don't have to do anything but have their students be where they need to be, Adventure Dash provides everything. They have lessons every day that teach healthy lifestyles and good choices. This is the best fundraiser I have ever been a part of." "Last year was our first year to do Adventure Dash and the entire process exceeded all of our expectations. The staff was energetic, fun, professional and taught the kids about fitness and health. The kids loved the bands and our school raised way more than we had planned. It was a great week and we can't wait to do it again this year." 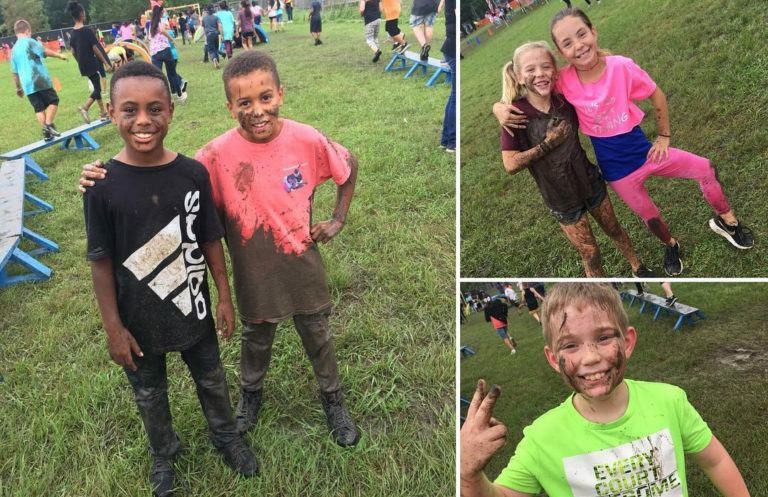 "The Adventure Dash Fun Run was just what our students and staff needed to pump us up and energize us! The Adventure Dash staff was friendly and made the week exciting and adventurous. It was so great to see the community come together to support our students and our school. We are looking forward to year two!" "We loved working with you and your team. Y’all did a fabulous job and we definitely want to work with you again next year." "This crew worked so hard to make this event not only financially successful, but SO MUCH FUN. Our kiddos loved every minute of their time with these energetic and positive coaches and the actual adventure dash was such a great event. I can not recommend a fundraising opportunity more highly— it was a community builder and an educational experience wrapped up in a fundraiser. Thank you Coach Swoosh, Nacho and Olive for a successful Adventure Dash! You guys killed it!!!" "Fantastic team and an amazing fundraiser while having a fun event for our students! Really it’s about health, fun, and fundraising all in one event! The team is well organized and easy to work with. I highly recommend Adventure Dash Fun Run!" "Thank you and your team for such a fantastic experience last week! Not only did everyone have an amazing time but we were blown away by the response to the fundraiser. Exceeding our goal before the big day was especially exciting!" Adventure Dash Fun Run is a 10 day fundraiser for your school that breaks down into 3 major components. Every student participates during the week and everyone gets to run on Dash Day! It’s time to kick off your fundraiser!! The Adventure Dash Team will lead a fun and exciting pep rally for the entire school. There will be music and dancing as we introduce the kids to our team. We will have them participate in a few fun challenges and we will get them super pumped about raising money for their school. Every classroom will participate in our daily character based health and fitness lesson. Through these breakouts, we will promote teamwork as each child learns they can win incentives as an individual, as a class, and overall as a school. The atmosphere in our breakouts is fun and competitive as we challenge students daily! This is the day we have all been waiting for and an event they will not forget. Adventure Dash Fun Run puts together an obstacle course fun run with music, dancing, and cool, age appropriate (yet challenging) obstacles. EVERY child will be able to participate on Dash Day as we close out a successful fundraiser! Once a student registers online, they will receive their own individual link that will lead to their own pledge page. The individual link can be shared via email, text and social media which makes requesting donations quick, easy, and safe. Everyone will be able to see how close you are to your goal in real time! If a child chooses to bring in cash or checks, we take care of counting these (in the presence of a school representative) and entering them into the online system. Give us a shout for more information or to put our team to work raising money for your school! How does the obstacle course work on Dash Day? Your child will complete the 5-6 obstacles on the course which will count as one lap. The obstacle course fun run contains over/under obstacles and high/low obstacles that will challenge our runners. We will accept cash/check pledges through the end of Dash Day. We will accept online pledges through the Sunday after our Friday Dash Day! How far will my child have to run? Depending on how many times they run around the course, your child can expect to run anywhere between a half mile to a full mile around the obstacle course. Pledges can be submitted online once you have created your child’s home page. Through this link you will be able to send your information to friends and family to donate. Are cash and checks accepted? Yes, cash and check donations can be turned in to your school. We will always offer a rainy day makeup. We don’t not want your child to miss this amazing event! © 2018 Adventure Dash. All rights reserved.